The most unique Prosecco in the UK. Spectacular. Award winning. Sugar Free. With only a limited amount produced every year, this is a truly unique limpid wine in straw-yellow colour, with a fine and persistent perlage. Its purity is ensured by a minimum residual sugar. Elegant and suitable as aperitif drink, it is best served with fish or seafood dishes. Also an ideal and refined complement to chocolate cakes. Bouquet: Rich aroma with scents of citrus and white-pulp fruit. Taste: Refreshing and absolutely dry, with full-flavoured structure. Our mission is to provide you with a unique Prosecco of the highest quality, from the producer in Valdobbiadene, Italy, direct to your table. 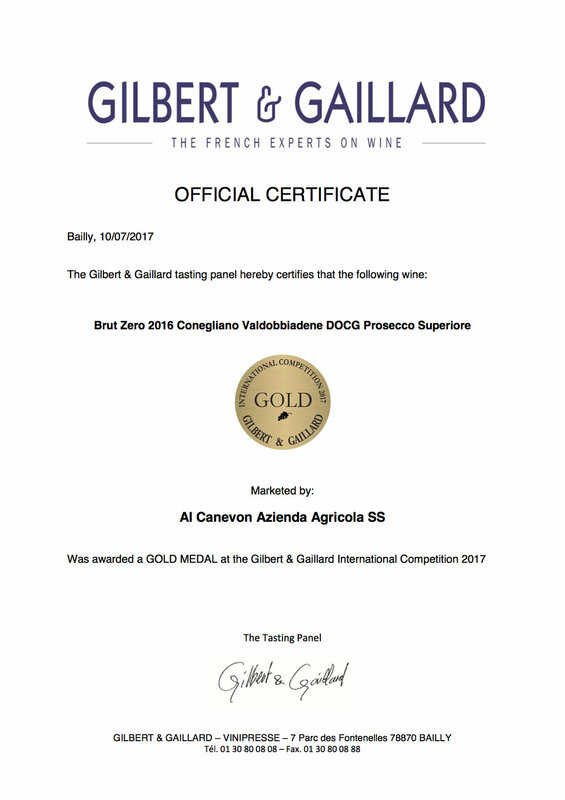 After numerous visits to Veneto, countless days of research and lots of meetings with farmers we finally found Al Canevon's award winning Brut Zero. Our focus was to find the ultimate Prosecco, not a few different ones to work with. We’re extremely proud and excited about Al Canevon’s Brut Zero; we tasted almost every Prosecco in the region and this one really stood out – and it contains no sugar. We immediately fell in love and our mission became a fairy tale. The Prosecco market is one of the fastest growing in the UK, but most types of Prosecco contain a lot of sugar. we are not selling other types of Prosecco, nor do we intend to. We put our heart and soul into this no-sugar Prosecco, and hope you will too.